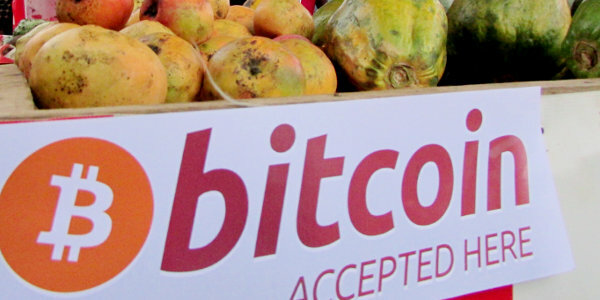 The conversation about digital currencies in Africa jumped several notches when M-Pesa, sub-Saharan Africa’s world-leading mobile payment platform, embraced bitcoin. The conversation has grown loud enough to spawn annual conferences such as Afrikoin, trade and advocacy organizations such as the African Digital Currency Association, blogs, consultancies, news services, and even films. Currently there are many different cryptocurrencies, with Bitcoin being the most well-known. During the first half of 2017, Bitcoin’s average number of daily transactions totalled 288,953 – up 182% over the same period two years ago. Despite its growth, this number still pales in comparison to Visa’s 150 million daily transactions, but the evidence is there that cryptocurrency could soon prove a force to be reckoned with. Bitcoin’s total market cap was US$40bn as at July 2017, up from $15bn in January. It appears to be facing its first real test in the form of differences in opinion on the technology that Bitcoin runs on. However, proof that cryptocurrency is being viewed more seriously as a true alternative to fiat currency is the South African Reserve Bank’s plans to trial regulations around cryptocurrencies. But, with the continent’s economies struggling with pervasive uncertainty, is this highly-speculated new technology really the promised solution? Africa is arguably more suited for blockchain and cryptocurrency adoption than many of its more developed Western peers. A primary reason is that hard currencies of developed countries already satisfy the needs of most of their citizens, in contrast to many African currencies and payment systems, which fall well short. Access to the internet is key to using blockchain technology. This is especially a challenge in Africa where internet access is estimated to be at between 20%-30%. However, with Kenya leading the continent on internet access and home to BitPesa, there are African countries that are able to implement this technology already. Despite the hurdles, the benefits of cryptocurrencies and blockchain technology in Africa should see more companies find increasingly creative solutions to the continent’s challenges. As listed above, there are already many blockchain developments in the pipeline and the continent is poised to benefit greatly. Watch this space. Age is no barrier when embracing new technology. PrevYes, Girls Can Code in Africa!